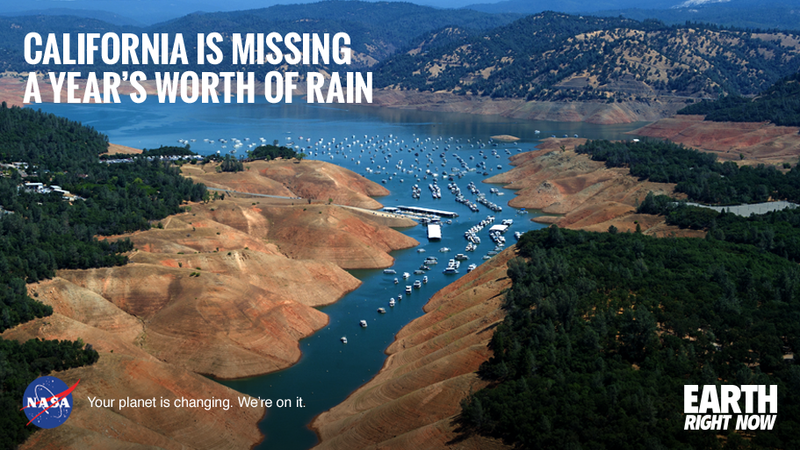 In California, we are constantly being reminded about water conservation. 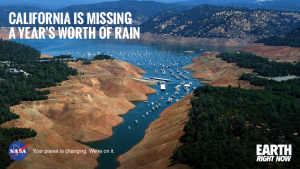 These reminders come from a variety of sources, but when you stop to consider that farming accounts for about 70% of our global water usage, it’s easy to see an opportunity for improvements in efficiency. By better understanding the needs of our farms and crops, we can more effectively allocate our limited resources. Studies have shown that this can increase our food yields over 25% while decreasing water usage by 40%. Drones can be used to gather vital data that can in turn be used to help us better understand our crops and water conservation. Agriculture isn’t what it used to be. The agriculture of today is a high-tech enterprise that most 20th-century farmers would barely recognize. Roughly 100 years ago farming made the transition between animal power to combustion engines. In relative time, it seemed like just “yesterday” farmers were integrating “new” technologies like Global Positioning System (GPS) and electronic sensors; and then tying them to geographic information systems (GIS). “Today” they are integrating drones in the agricultural process. The term “agriculture” can be defined as: the art and science of growing plants and other crops and the raising of animals for food, other human needs, or economic gain. When economic gain becomes part of the equation, human nature kicks in and people start to look for optimization, and wherever possible even micro-optimizations. Precision agriculture is a new method of farming that is rapidly growing in popularity. Using what are known as “site-specific” methods, precision agriculture involves studying and managing variations within fields that can directly affect crop yield. The core concept behind precision agriculture is that you always work with the smallest unit of land possible. When you are dealing with large fields, instead of looking at the entire field as a single unit, look at smaller, individual segments. These segments, inevitably, will have wide spatial variations and will require different resources for optimum yields. Understanding these segments individually means a farmer won’t need to use an excess of costly resources in the form of water, fertilizers, pesticides, and herbicides. Without the combination of GPS and GIS, precision agriculture wouldn’t even be possible. Why? When farmers collect data, by relating each data point to a GPS location, they are collecting the data precision agriculture systems need to create actionable reports. They are collection “site-specific” data. GPS applications in precision farming include farm planning, field mapping, soil sampling, tractor guidance, crop scouting, variable-rate applications, and yield mapping. The data that is collected is stored as GIS data. A geographic GIS system is a system designed to capture, store, manipulate, analyze, manage, and present all types of spatial or geographical data, in our case, agricultural data. While this data could, in theory be collected manually, a manual solution would never scale to the needs of today’s large-scale farming operations. Another benefit of GPS is that GPS allows farmers to work during low visibility field conditions such as rain, dust, fog, and darkness. What does “site-specific” mean? The term “site-specific” refers to the smallest possible single element of a larger one. Which is the smallest unit a farmer can manage. This could be an individual plant or larger plot of land. 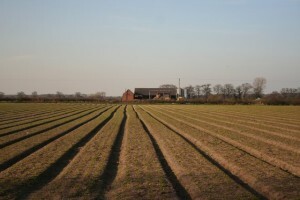 For example, taking a large field and splitting it into smaller, acre sized parcels. When a weed infestation is identified, it is identified in each affected acre sized parcel. Then, parcels are treated with herbicide individually instead of treating the entire large field. As I mentioned earlier, sensors are used to collect a subset of data, humans collect another and imagery collection is yet another data source. In using imagery collected by satellite and small aircraft, farmers can identify markers that indicate crop health across entire fields. Even as the costs decline for these types of imagery, drones have entered the market in a disruptive role. 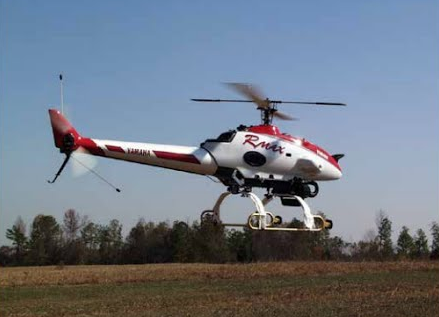 Drones in the shape of fixed-wing aircraft, helicopters, quadcopters and in some cases ground based drones are all finding purposes on the farm. Precision agriculture is a cyclical process. To maximize effectiveness, farmers must perform annual planning, data collection, and analyzing steps to complete the precision agriculture cycle. However, because the process is cyclical, farmers can start at any time. In each phase, farmers have specific activities and data points to collect, and in nearly each phase, drones are already having an impact. 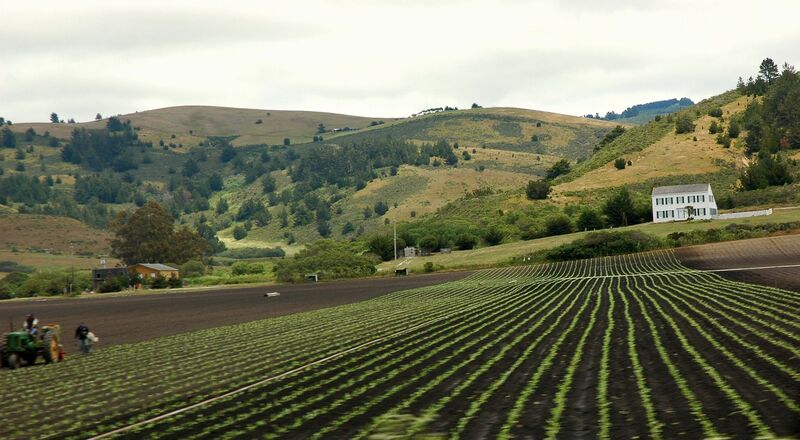 Prior to planting, farmers must perform soil tests, then complete data analysis to determine spatial variations in soil conditions that call for a variety of treatments or planting methods. During the growing season itself, farmers vary their seeding and fertilizer application as determined by soil test data. Crop scouting is done to search for problems such as weeds, pests, or diseases. During the harvest, yields are monitored, which helps the farmer discover if his management methods have been successful; and to determine how to proceed in the next season. Historically, the process of precision agriculture data collection would largely be manual. While technologies like GPS and GIS enabled precision agriculture, farmers would need to complete lengthy, manual site-specific surveys to collect their data before processing it. The collection process alone could lead to delays, which would impact the efficacy of the information. While an aircraft provides a faster solution for completing site-specific surveys, it’s not exactly a cost effective one, especially for medium and smaller-sized farming operations. Enter the “disruptive” drone. Drones can replace traditional aircraft and quickly and inexpensively survey large plots of land, collecting images and valuable GIS information tied to GPS collected coordinates. These images are analyzed either through computer software or manually in some cases. The collected images, when properly analyzed, provide farmers with useful data. For example, differences in the amount of reflected light is an important indicator of plant health and/or soil type. Diseased areas appear much darker. Reviewing the images over time paints an even more detailed picture for the farmer. Drones can also use specialized image collecting sensors such as an NDVI sensor. 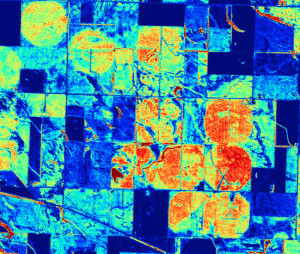 (NDVI is defined as the Normalised Difference Vegetation Index and shows contrasts between weeds and crops.) Sensors that capture images outside of the visible range are also useful. Not only are drones more cost-effective than traditional aircraft, they offer another key advantage. 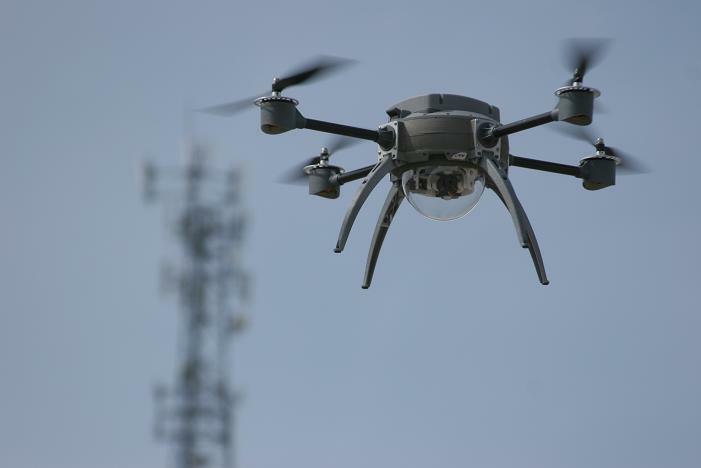 Drones fly much closer to the earth than traditional aircraft, more specifically the FAA restricts drones to below 500 ft. At such close proximity, drones can capture amazingly high-resolution images of terrestrial subjects such as a plot of land. If drone-based precision agriculture provides such a great value proposition, why isn’t it already in use by more farmers? With the FAA still restricting commercial drone use, farmers interested in using drones today will need to petition for their own, or work with an organization, that has a valid Section 333 Exemption (An exemption from the FAA that allows for commercial drone operation). These strict restrictions are hampering innovation as well. The following are just a few ways that drones are already helping farmers, in spite of regulations. When these restrictions are finally lifted, I’m confident the role drones play in precision agriculture will only grow. Today, drones are commonly used for crop scouting. During the life cycle of a crop, any problems that might develop in the field will need to be carefully documented. While nothing new, today’s crop scouts can take advantage of GIS data collection systems linked with GPS data. The data can then be easily compared back against historical GIS data for each location. Thanks to the advent of video mapping, any lay person can record field conditions that are then later reviewed by an expert. A task that historically was completed manually by people walking through fields with notepads in hand can now be handled by drones like the SenseFly eBee Ag. It can move faster, cover more ground in a single survey, capture data invisible to the human eye and remove the opportunity for human error. Pricing alone makes drones perfect for this application when compared to aerial or satellite remote sensing. Drones also offer amazing data delivery times. While drones will never replace satellite collected imagery completely, they are the perfect complement for crop scouting. Mid-field weed identification lets growers know about weed proliferations that are growing alongside healthy crops. Historically, this information was only available at the time of harvest. A drone, equipped with an NDVI sensor can collect data that once post-processed can create a weed map used by farmers as a guide for treatment. Drones are also used for variable-rate chemical application, at least in Japan. VRT (variable-rate rate technology) and VRA (variable-rate rate application) refer to the technology behind automated variable-rate sprayers. These sprayers are a key tool in precision agriculture. Helicopter drones can use variable-rate sprayers for precise chemical delivery. Flying low to the ground, just above the crop line, drones can deliver precisely the right amount of chemicals necessary across a specific site. Using data collected from crop scouting combined with field conditions, the minimum amount of chemical product needed can be calculated. This reduces cost of input and also reduces the environmental impact and should become standard practice here in the United States. 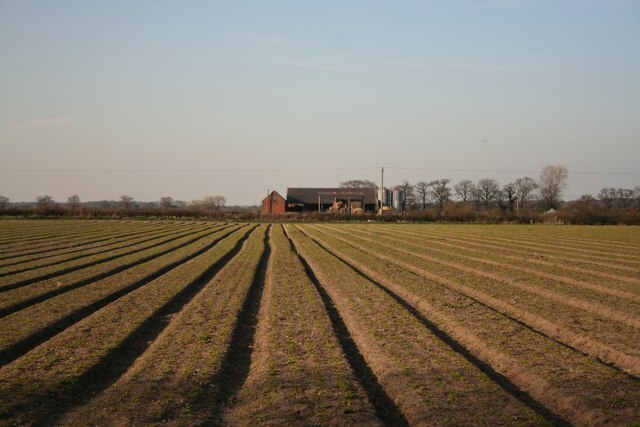 In large fields, irrigation equipment is key, but requires up-keep. Equipment needs to be regularly checked and monitored. 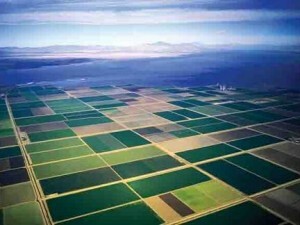 As you can imagine, for large farms, the scale of the irrigation systems can be expansive. Drones are a great tool that can remove the human element from this checking and monitoring process. As technology improves, many new drone-based precision agriculture applications will be created. Agribotix, a Colorado based agriculture drone software start-up company, has developed a solution that uses NDVI maps to direct in-season fertilizer applications on crops. Working with AGCO, a Georgia based company focused on the design, manufacture and distribution of agricultural machinery, the team has even created an “all-in-one” precision agriculture solution that combines Agribotix software with an AGCO customized 3D Robotics Solo drone. People may argue that ground-based or satellite imagery combined with soil samplings provide better insight for what’s known in precision agriculture as Variable-Rate Fertility, but as drone technology improves I expect that many opinions will change. While not the original intended use for drone technology, drones have already made a big impact on precision agriculture. Drones provide vital data, data that can be used to apply the optimal amount of any input (water, fertilizer, pesticide, fuel, labor) when and where it’s most needed to efficiently yield crops. However, it’s also important to recognize that the impact drones have on the farm is not limited to crop production alone. Drones are already being used elsewhere on the farm. Drones are being used for cattle herd monitoring too. Not only do they provide an overhead perspective that is ideal for tracking herd size and activity, drones are also effective for night-time monitoring. While agriculture is just one of many industries drones are disrupting, according to the AUVSI, precision agriculture and public safety will “comprise approximately 90% of the known potential markets for UAS.” That is 90% of the projected $82 billion of economic activity between 2015 and 2025 that drone industry will create. With an impact like that, it’s clear drone-based precision is here. Are you interested in Precision Agriculture? If you are considering a career in drone based, precision agriculture, then I highly recommend you take a look at the Drone GIS/Mapping course from Drone Universities. In this course, you will learn everything you need to successfully collect usable data on your flights. We’ll guide you through planning and flying successful operations, programing flight patterns, achieve correct altitude and utilizing specific camera settings. We’ll teach you what to do with data once collected and how to turn it into an Orthomosaic, DSM or DEM while becoming knowledgeable and confident in offering your specialized services. The above article was originally written for the December issue of Multirotor Pilot Magazine. If you’d like me to write for your drone related magazine or blog, you can contact me at info@droneuniversities.com.